They say, when you’re 18 years old, everything is possible and tomorrow looks friendly. Like humans, businesses have lifecycles, too. In 2019, as Prime Group celebrates its 18th year in operation, it is moving from what industry experts call the “Growth and Establishment” phase into “Expansion” – an exciting time indeed. So, in order get a good view of where Prime Group and its four divisions are going in the year ahead, let’s take a look at where they have come from. Over the past couple years, as Prime Group has continued to take on new customers, it’s been busy managing increasing levels of revenue, staying ahead of the competition, and expanding its workforce. More recently, Co-Founders Roger Paredes and Omar Zambrano also took a bold step to start establishing real order and cohesion by mobilizing each divisional team according to clearly defined and communicated goals. This was achieved with the help of internationally renowned London Consulting Group. “We signed on to work closely with the London consultants to enhance operational efficiencies that will ensure Prime Group is able to adapt to changes precipitated by our anticipated growth,” said Roger Paredes. After months of studying the company inside and out, a broad range of action steps got underway to restructure and streamline operations. Starting in 2018, they ranged from expanding Prime Group’s space in Miami and at stations all across its system, to instituting new internal processes to make the company more agile and efficient. In August 2018, the company pulled up stakes and relocated the international headquarters in Doral. The new and significantly larger office-warehouse complex, within close proximity to MIA, offers a promising platform for continued success. “We now boast more than 4,000 square feet of office space in the new building and doubled the size of our warehouse to 20,000 sqft,” said Zambrano. 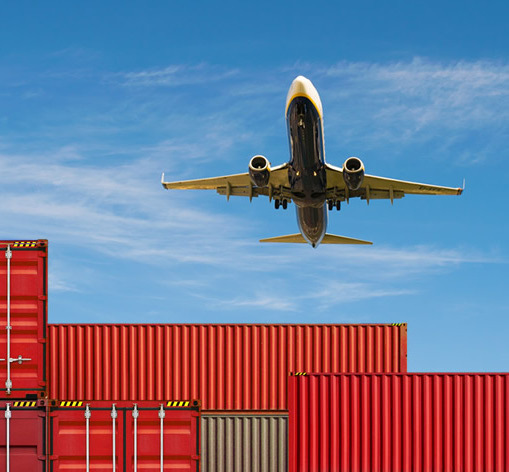 Multiple initiatives now being realized also include the start of a commercial push for Prime Air & Ocean Cargo, the freight-forwarding side of the business. Based here in Miami, PAOC’s expanded warehouse and storage facility at the new Doral headquarters will not only fuel its progress, but also position PAOC for greater diversification in 2019. Over the past year, PrimeAir saw an enhancement of business relationships with partners that share the company’s goals – particularly Emirates SkyCargo and Atlas Air. This summer, the division that serves as an integrated General Sales and Services Agent around the world, was appointed as SkyCargo’s new GSSA in the Colombian market, following Emirate’s launch of international cargo service into Bogota. This supplements an existing separate schedule of daily flights in neighboring Quito. Speaking of Quito, the company boosted staffing in 2018 to accommodate a shift in focus from a purely PrimeAir office to a fully diversified Prime Group operation, offering entire spectrum of brands under one roof. Similarly, BOG is following suit, so that the parent company’s multiple divisions are on track to become the top provider of air cargo logistics and services in that region, as well. Prime Fresh Handling is handling its operation well. Over past year, there was a continued emphasis on boosting PFH’s services at both LAX and at JFK , two of the newest and most successful station operations in the Prime Group system. Amsterdam, too, is emerging as a key player for the company. A primary gateway to the entire European market, the new Schiphol operation is today recognized as a prime location for opportunity – and success. This is a real success story: Prime Fresh Products, specializing in working in-country to take perishable, shelf-stable products to market in one integrated path, is taking the snack world by storm – in the form of unique new lines of snacks under the Prime Planet name. After seeing great success with Prime Planet Tostones – and their 2018 foray into big South Florida supermarkets like Publix – the company realized it was a perfect time to grow this division and will continue to do so through 2019. The next phase in the business lifecycle is “Expansion.” To get there, Prime Group plans to focus on 2019 as a launch pad to propel the company into 2020 and beyond. Paredes says that stabilizing the ship, so to speak, for a smooth journey ahead is what 2019 will be all about. Many entrepreneurs agree, if you are not moving forward, you are moving backwards. Tucked in the suburbs just northwest of Miami International Airport, Doral is dubbed the fastest growing big city in Florida and the 11th fastest in the country. This rising young town is also a hotspot for trans-global companies such as Prime Air & Ocean Cargo – a rising division of its Doral-based parent company, Prime Group. Prime Air & Ocean Cargo (PAOC) has extensive experience and knowledge in getting cargo from point A to B, matching the transportation needs of major industries all over the globe with creative, smart logistics solutions. And for this long-standing company, Miami/Doral serves as a prime location for growth, opportunity, and successes – now and for years to come. To get a better perspective on the Miami operation, we caught up with Omar Zambrano, co-founder of Prime Group, who oversees the day-to-day management PAOC. Q:With the continued success of the MIA operation, tell us about your recent move to an all-new facility in Doral. OZ: After outgrowing our previous home, we moved the company’s operation this summer into an all-new facility of 20,000 sqft, just three miles from the MIA cargo zone. It’s still within the city limits of Doral, because this area serves our needs so well – and the needs of our customers. Here we have 500 positions on rack, which is the right way to keep the cargo in good condition. Also, we now have parking space that accommodates 53-foot trailers. The much-needed move, actually included relocation of the entire Prime Group portfolio of companies: PAOC, PrimeAir, Prime Fresh Handling, and Prime Fresh Products. Q:What is your strategy with the MIA operation? OZ: Our strategy for success lies within our team of people. PAOC has been in the enviable position of attracting and retaining extremely qualified professionals with skills and expertise spanning the entire logistics spectrum. 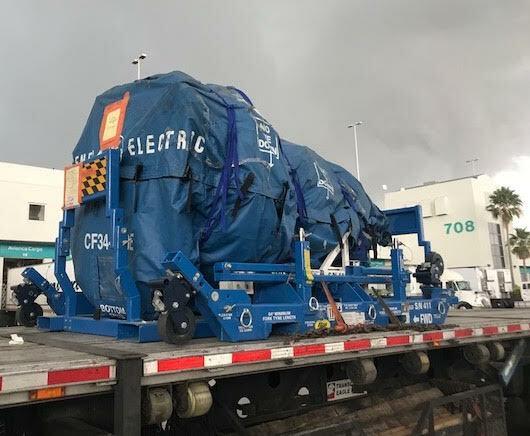 PAOC employees are trained to handle general cargo, hazardous material, perishable cargo, and over-size cargo – via air and ocean shipment. In addition, our entire staff is bilingual in English and Spanish. It’s also important to note, we are always ready to help our customers with any problems, challenges, or questions they may have. It simply doesn’t matter if it’s late at night or over the weekend. Our clients absolutely love our dedication to service – that’s why we have a very high level of customer retention. And in the few instances a customer leaves us for a competitor, it’s just a matter of time until they make their way back to PAOC. Q:How is the market performing for the company? OZ: PAOC is very well known in the international market. On a weekly basis, for instance, we move more than 50 tons from China in transit to South America. We we keep just keep growing, year after year – and 2018 was certainly no exception. Q: Where are your biggest customers based? OZ: The majority of PAOC’s customers are out of Brazil, Ecuador, Colombia, Chile, Argentina, Holland, and Italy. Q: What are the primary products PAOC focuses on with its marketing and shipment efforts? OZ: The main products we transport include electronics, hospital equipment, ATM-machine parts, fresh-cut flowers, and vaccines. As you can see, that’s a wide-ranging mix of products and material, but honestly, that’s what makes our business so interesting. Q. We’ve heard PAC will see a “commercial push” in 2019. Tell us about that. OZ: What this means is we are focusing on increased diversification. With the ability to move all kinds of cargo, including perishables, we are extremely well positioned to manage the ups-downs of the market. We are anticipating a very good year in 2019. Brazil in particular will be growing this coming year, as well other principal countries in South America. Our very good relationships with air carriers and ocean carriers allow PAOC to offer great rates and ample space to all destinations, inclusive of space on passenger flights. Q: What kind of expertise is required to beat the competition? OZ: In one word, it’s know-how. Well, that’s two words, kind of! But the fact is, we know the logistics business up and down, from origin to destination. We have very close relationships with our customers, which allows us to always find solutions. By aligning ourselves with our customers, side-by-side, we always find the best way to move their cargo, based on their needs. Flexibility is also one of our greatest qualities, allowing us to accommodate last-minute requests. Q:What is the composition of your team? And in the warehouse, staff members are Minerva Pedraza, Alain Ciscal, Joshuan Hernandez, and Javier Soza. Q:Tell us a about your history with Prime Group and in the industry. OZ: I got my start in the airline business in Ecuador in 1997, working for Avianca Cargo; and then Transoceanica were I become deputy manager for cargo with Lufthansa and Lan Chile Cargo. In 2001, I joined up with Roger Paredes to form our own company, Prime Air, which was the GSA for AGI, operating six flights per week to Miami. Our market was Quito-Miami with B747F equipment. By 2004, I moved to Miami to fulfill the dream of expanding our operations beyond Ecuador and diversifying our service portfolio. In October of that year, I started moving cargo from Miami to Quito with Arrow Air. Many of the contacts I had in Ecuador started contacting me to arrange their export from Miami to Quito, so business was good and continued to expand. In 2005, we rented a small warehouse of just 2,500 sqft, but by 2008 expanded into a 5,000-sqft warehouse. Growth continued and in 2010 we moved into a to 10,000-sqft warehouse – and then this past year, into the new 20,000 sqft space. 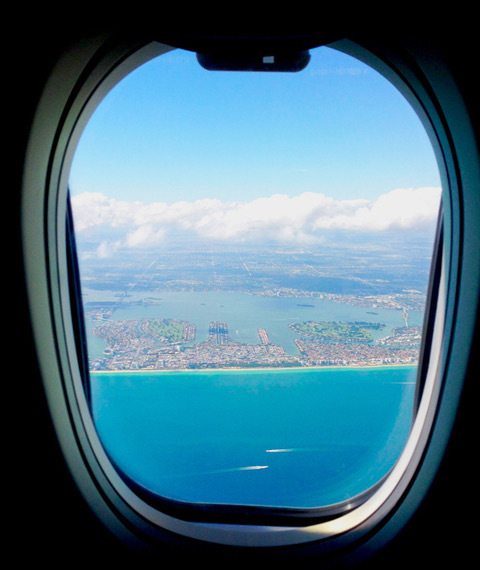 Now PAOC is well known among all the airlines and ocean carriers in Miami, New York, and Los Angeles due to the high volume of cargo we move and the exceptional quality of our services. For information, contact Prime Group Co-Founder Omar Zambrano at ozambrano@primegroup.aero or by calling 305-592-2044. Also visit www.primeaircargo.com.